Here Jesus first sets out the order of the process of knowing from the Father to the disciples; second, the order by which the disciples’ minds are led back to the Father. First, he discusses the giving of teaching by the Father. And this is a twofold giving. There is one which the Father gave to the Son–where it says, “the words that you gave me”–in his eternal generation, in which the Father gave word to the Son, since he is after all the Word of the Father. Words of this kind are nothing other than the ratio of everything that has been made, all of which the Father gave to the Son from eternity in giving him birth… The other giving is that which Christ gives to the disciples–where it says, “I have given them”–by teaching from within and without (interius et exterius). As it says in John 15:15 above, “For all that I have heard from my Father I have made known to you.” In doing this, he shows himself to be “the mediator between God and men” (1 Tim. 2:5), because what he received from the Father, he passed on to his disciples: “I stood between the Lord and you at that time, to declare to you the word of the Lord” (Deut. 5:5). There is very much fascinating in this passage. First of all, the role of the Father as the source of divine teaching, which we have already mentioned. But also, how here as elsewhere, the work of the Son in time mysteriously is prepared for in the shape of the Son’s generation by the Father. The Son is given “words” in his eternal birth, as he is the Word of the Father; these words the Son gives to the creation in shaping it according to the ratio (reason, idea, form) the Father gives him, but the Son also gives them to the disciples in his teaching, his doctrina, during his earthly mission. Thus, new creation is a fresh beginning for the old creation; what was made in the Word is remade in his words. Further, we see here a theme more visible in Bonaventure than Aquinas: the reductio, the “leading back” of humanity to the Father. The result of the Father’s giving to the Son and the Son’s giving to his disciples is for the gift to issue in a return: the disciples turn in faith to Christ–“not being rebellious”–and Christ shows them the Father: “Whoever has seen me has seen the Father” (John 14:9). And even more remarkably, the disciples know that “everything the Father has given Christ is from him” in eternity (cf. John 17:7); they begin to see into the mysterious eternal giving of the life between Father and Son; they begin to see with that eternal blessed vision. I’ve run across a couple interesting sets of comments from Aquinas’ commentary on 1 Corinthians 15, regarding the resurrection of the body in Paul’s letter. In the first, Aquinas denies that the resurrection is in any way a natural occurrence; in the second, he discusses the kinds of perfections the resurrected body will experience. This last paragraph is quite interesting: Aquinas believes the resurrected body will be unable to suffer any harmful influence or be affected from outside; it will quite literally glow with health; and it will be quicker than our bodies presently are. He even believes that two bodies could exist in the same space if God allows it, just as the resurrected body of Jesus could pass through closed doors (John 20:26), although this won’t be automatically possible (Super I ad Corinthios 15.6.983). This is of course so much speculation, but one imagines that our resurrected bodies will have breathtaking qualities something like these. In my thesis, I’m looking at the commentaries of Thomas Aquinas and John Calvin on 1 Corinthians, specifically the first four chapters. This may seem an odd choice for these two great thinkers; normally one looks to Aquinas’ Summa theologiae or Calvin’s Institutes to understand their thought. I’m doing that too, but I’m interested in their biblical commentaries for a few reasons. 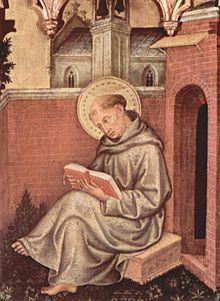 First, because this work is what occupied both of them for most of their lives: Aquinas spent his university career as a “master of the sacred page,” lecturing to students on the books of the Bible, while Calvin preached at least once a day for most of his life, and spent a lot of his so-called spare time writing commentaries on the Bible–in the end, he produced commentaries on almost the whole of Scripture. Second, the thought of their major, more systematic works, is drenched in the understanding they drew from their constant immersion in the Bible. For Calvin, this is obvious; for Aquinas, it is increasingly being recognized. (In the Summa theologiae, we now know statistically, Scripture is quoted more than all other sources combined.) Finally, the task of commenting on the Bible holds a person to certain limits; one must follow the text closely and be faithful to its direction and path of argument or expression. This leads Aquinas especially to say things he doesn’t say elsewhere, which is interesting in itself. But beyond its interest, it is deeply instructive to see how these two great masters of the Bible read the text through which, they both agree, God leads us to salvation. So how was “God pleased through the foolishness of what was preached to save those who believe”? Because those people the world calls “wise” did not think anything of the things God did to save his people, because they only pay attention to created things. But God brought salvation through the cross of Jesus, something they thought foolish and impossible: how can God suffer and die? Why would God undergo that shame? So it pleased God to lead his faithful to himself through these things, rather than through the creatures the “wise” think so important. He used these other things, the things which faith teaches, to lead people to salvation, because like a good teacher, he wanted to make sure people did not misunderstand what is in his heart. I’ll be giving a paper on this theme in Aquinas’ commentary at a conference in Cambridge coming up, 3-4 December. Hopefully I’ll be able to convey some of the excitement I have about themes like this in Aquinas’ work!